A powerful and cost effective teaching tool, the Qomo HiteVision QRF324 RF Classic Pack (24) is a snap to set up. In minutes you'll be running quizzes, displaying results and generating reports based on the data. The QRF 300 System works with any quiz format from oral quizzes to Exam View. Each remote can be assigned a secure and unique student ID number. You can time quizzes and tests, then instantly display the results. The software is a comprehensive teaching aide. QClick suite features modules to establish classes, compose exams, establish templates, manage communication and manufacture reports. The Freestyle mode can run tests with nearly every medium from paper, to oral, PPT, XML, etc. You can convert a PowerPoint presentation into an exam with quick, one-click access. The editing tools are user friendly and lists from Excel can be imported and also generated from QClick data. Beyond the classroom, the QRF324 RF Classic Pack (24) can be useful when giving business presentations or during corporate meetings. It's perfect for focus groups, jury selection and voting. 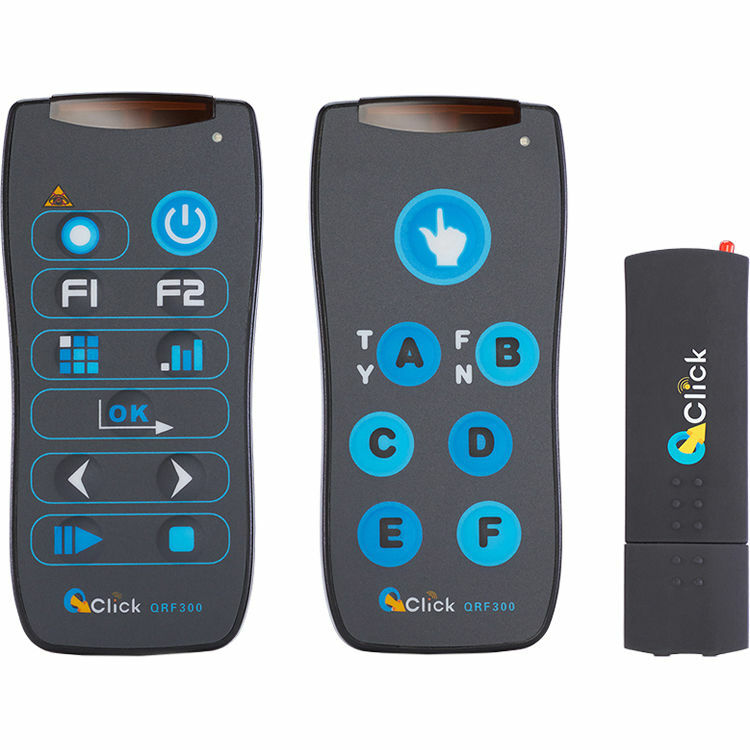 Whether you need to gather efficient data from a group quickly, monitor the response of a large audience or just get your class involved with interactive presentations and quizzes; the QRF324 RF Classic Pack (24) combines ease of operation with manageable software to present a cost effective solution to traditional quizzing and response methods. Box Dimensions (LxWxH) 16.0 x 14.7 x 7.0"